The SEP 900 was conceived as a specialty machine for washing bullet trains on the go. Shunting Million dollar trains at a snail’s pace to (and through) fixed wash portals, while clocking time on rolling stock AND engineers, burns money fast. 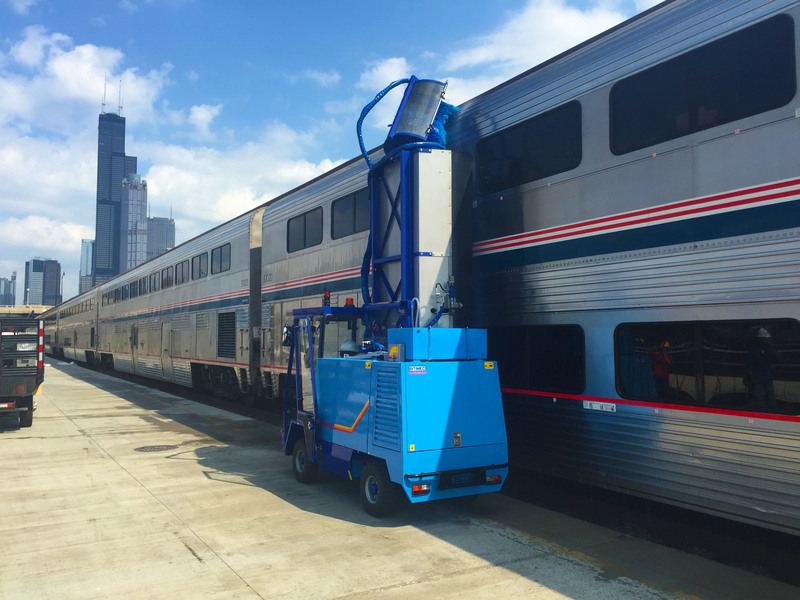 Read the product description of our train wash equipment to learn more. 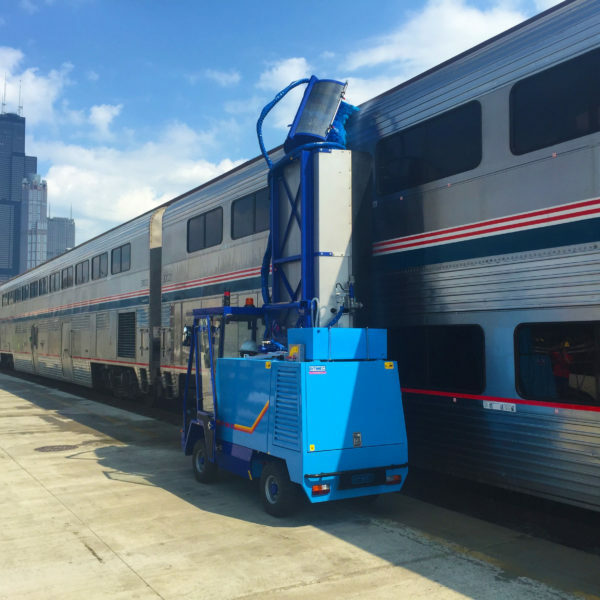 Wash-Bots bring you the best when it comes to train wash equipment. The SEP 900 solution has modern features for washing trains inexpensively. For example, with SEP 900 you can easily wash a train from platform or track level. Furthermore, our machine features the latest generation diesel engine with low pollution impact. Wash-bots train washing machine is also equipped with hydraulic traction, 1000 Liter water tank, acid base detergent applicator circuit, and a second optional brush. We designed train wash equipment exclusively for the extreme service requirements in railway yards. You can easily cross rail tracks with Wash-Bots train washing machine. Moreover, with Wash-Bots SEP 900 you can adjust brush height with a pressure control system. This will help you keep contact with the surface being washed. We build cab, engine compartment, water tank and brush shroud with stainless steel. This makes a durable, fast machine which will ‘go to the train’ saving time and money. We designed Wash-Bot machines to make the job easier and faster while using far less water, detergent, manpower and time than conventional vehicle washing methods. One person easily operate wash-bots train washing machine.